We are so excited to announce our Spring Shows. Yes. Spring ShowS. We have so many talented students in our program and so many plays we’d love to perform…so we’ve decided to do two shows. Each show will be cut to about 1 hour each and performed as a joint experience with an intermission in-between. Both shows follow the cycle of life, and how community comes together in dealing with death. They have moments of humor but also moments of great weight…and we are so excited to explore that with our cast and community. The story of The Yellow Boat is a glorious affirmation of a child’s life and the strength and courage of all children. This dramatization is based on the true story of David and Sonja Saar’s son, Benjamin, who was born with congenital hemophilia and died in 1987 at the age of 8 of AIDS-related complications. A uniquely gifted visual artist, Benjamin’s buoyant imagination transformed his physical and emotional pain into a blaze of colors and shapes in his fanciful drawings and paintings. A Scandinavian folksong tells of three little boats: “One was blue, one was red and one was yellow as the sun. They sailed far out to sea. The blue one returned to the harbor. The red one sailed home, too. 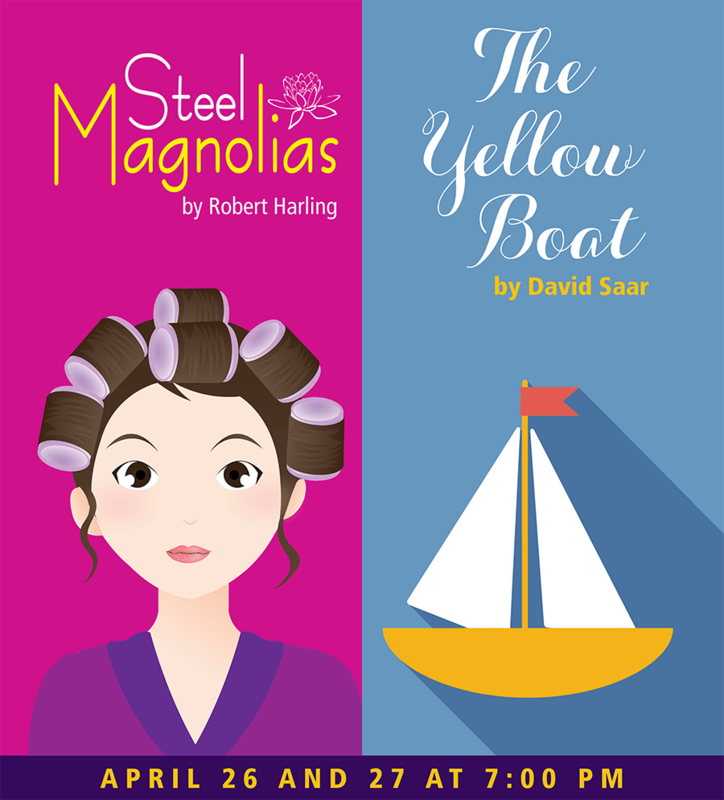 But the yellow boat sailed up to the sun.” Benjamin always concluded his bedtime ritual by saying, “Mom, you can be the red boat or the blue boat, but I am the yellow boat.” Benjamin’s remarkable voyage continues to touch audiences around the world. 1996-97: Musical Comedy Murders 1940, Pippin, Hello Dolly! 1995-96: A Christmas Carol, Ordinary People, Oklahoma!